This is a structural modification to flow batteries that would enable simultaneous storage and transport of energy. The essential idea is constructing the batteries as a pipeline, or using a pipeline to transport charged electrolyte. This structure would enable cost-reduction when building new remote renewable generation sites, as the cost of transportation and storage could be combined. 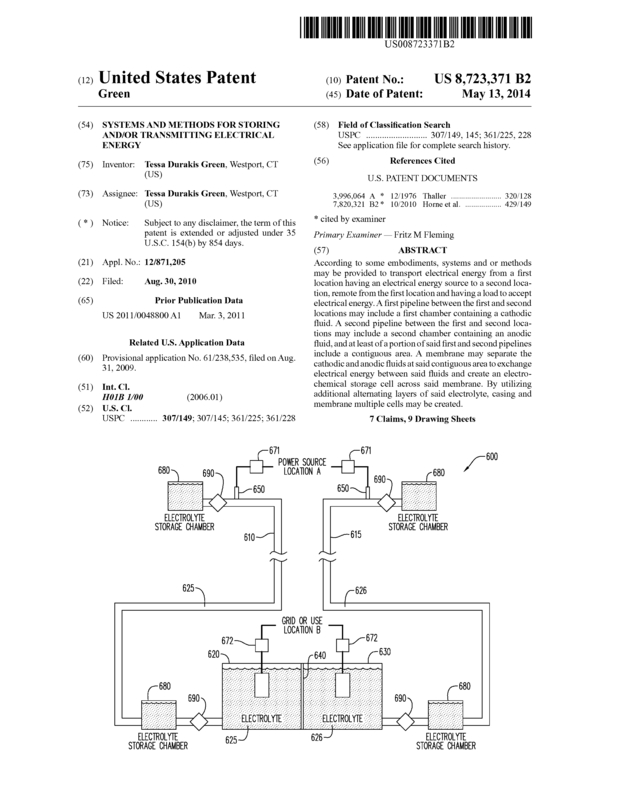 Page created at 2019-04-24 18:04:33, Patent Auction Time.